This is part two of my series on new Mexican Migratory Law; it deals with the figure of TEMPORARY RESIDENT. The previous article dealt with the figure of VISITOR and the following article will deal with the figure of PERMANENT RESIDENT. 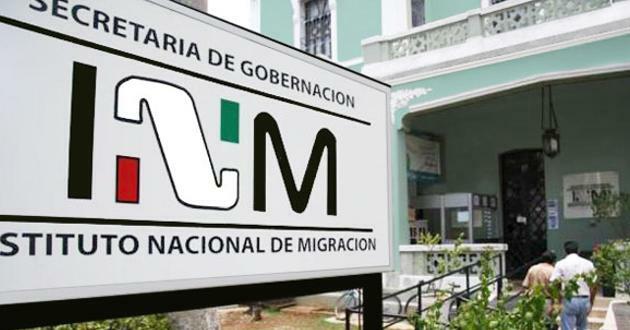 I would imagine that I will include a forth article which talks about the way the law is going to treat the old migratory documents in regards to the new migratory documents and possibly even a fifth that talks about the procedures for obtaining the migratory permits when the regulations to the new law are published. A note here that might give hope to many foreigners, in the previous law in this description of the status, the law specifically mentioned that the document would be renewed annually. This might give hope to those who receive this document that it will truly be a document that is valid for four years. Concubine, or common law spouse, is the person who, having no impediments for marriage, lives with someone for a certain amount of time or who has children with someone they are not legally married, and therefore by virtue of this figure possesses many of the same rights and obligations as a spouse. The time period required to obtain this legal protection varies from state to state. d) Father or mother of a temporary resident. The persons referred to in the previous paragraphs will be authorized to reside regularly in national territory under the condition of temporary resident, with the possibility of obtaining a permission to work in exchange for remuneration in the country, subject to an employment offer, and with the right to enter and exit national territory as many times as they desire. In the case that a temporary resident receives an employment offer, he will be granted permission to work in exchange for remuneration, in the activity related to the said employment offer. As with many previous migratory documents that allowed the foreigner to work, the authorized activity will be specific to the job offer, not a broad offer to do whatever the foreigner decides. The foreigners who are granted the condition of temporary resident may introduce (import) their personal properties, in manner determined by the applicable legislation. This paragraph talks about the famous Menaje de Casa, the load of household goods, clothing and other items for personal use that are allowed under current customs law. Under the same legislation, foreigners who possess “No-Inmigrante” and some “Inmigrante” statuses are also allowed to temporarily import foreign-plated vehicles; it will be interesting to see how the change in this law affects the application of the customs law. Temporary importation means that anyone importing items in this manner agrees to remove that item from Mexican territory when their migratory status expires. For example: John Doe is coming to Mexico for labor purposes under the modality of Temporary Resident, he will be able to bring his car and his household goods with him, however, when his permit expires he will have to exit the Mexican territory with his goods: He can not sell, give away or abandon the imported items, unless they where destroyed, robbed or consumed according to the nature of the item. The rest of Article 52 deals with the conditions of Temporary Resident Student, which is fairly self-explanatory and not entirely relevant to the audience of this piece, and the condition of Permanent Resident, which will be explained in the next installment of this series. The description laid out in the previous section does not talk about the process of obtaining Temporary Residency, except in cases where the foreigner has a relationship with other Temporary Residents. Here we have one way to obtain Temporary Residency, this is similar to the status of Inmigrante Familiar. Here is another method of obtaining Temporary Residency; this method was not recognized in the previous migratory legislation. This shows the progressive nature of this law: the marriage rate in Mexico has dropped by 25% in the last ten years. This fraction refers to children of naturalized Mexican citizens who were born outside of Mexico. VI. Siblings, as long as they are (under 18)* and have not been married, or are under (the Mexican’s) legal guardianship. *The actual words used in this subsection are “niña, niño o adolecente”, which translate to “girl child, boy child or adolescent”. This wording is found commonly in much of the newer Mexican legislation, which has in recent years experienced a very humanistic trend. The wording (under 18) was substituted for aesthetic purposes, but it might be important to know the original wording in this case. Article 58. Foreigners are entitled to have the migratory authority issue the documentation that accredits their migratory situation once all the established prerequisites in this law and its regulations are fulfilled. When the documentation that the migratory authority issues does not contain a photograph, the foreigner must additionally exhibit his passport or valid travel and identity document. The next article is interesting, because it alludes to the fact that foreigners will have the condition of residency before entering into national territory, as if they may need to either solicit said status at the border or in a corresponding consulate. This is one of the parts of the process that will need to be explained more in depth in the regulations. Article 59. Temporary and Permanent Residents, with the exception of those who solicit political asylum, refugee status or designation of Stateless Person, will have a period of thirty days from their entrance into national territory to solicit, from the Institute, the corresponding residence card, which will be valid for the authorized period. With this card, (the foreigner) will accredit their migratory situation in national territory, while it is valid. Those who solicit political asylum, refugee status or designation of Stateless Person, or who are issued complementary protection, will obtain their residency card at the conclusion of the corresponding procedure. Once obtained the residence card, Temporary and Permanent Residents will have the right to obtain, from the Ministry of Government, their CURP (Unique Population Registry Number). The prerequisites and procedures to obtain the corresponding residence card will be established in the Reglamento. A lot depends on the regulations (Reglamento), which should be published before November 25th of 2011. Hopefully they will make the migratory process easier and more agile, possibly even eliminate the yearly renewal as it is today.